Next opportunity is Monday, April 19 at 8:00 pm PT. I’ll post a reminder on Monday morning! If you still haven’t gotten a free Earthbound Farm tote bag (or try http://www.ebfarm.com/ ) you still have a chance to grab one right now by completing the quiz with the correct answers (you have a chance to go back and correct your answers). Click on “Come Into the Kitchen” to get started. Remember they’ll only send one per household, so don’t do this again if you’ve already gotten a request in! They are sending me mine! Oopsie…nevermind. 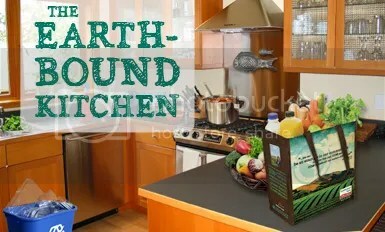 It was the one from Earthgrains (bread), not Earthbound. "…We have received your request for a free EarthGrains reusable shopping bag and are processing this as quickly as possible. To thank you for being patient, we'll be sending you an additional bag! Your bonus bag will be a handy EarthGrains drawstring tote bag – and it's yours FREE…"
I got in on the first batch of bags earlier this month. Today I got an email apologizing for the delay and saying they were sending a bonus drawstring bag with it. How cool of them to do that! Hooray….I finally got a bag. THANKS! You need to become a fan first and then take the quiz.. I got mine! Yay! Say it will be shipped in may!